Home My Ishtyle Surely Do these 6 things before new year for life! The New Year is when you think about the past and more importantly, reflect on how you can improve yourself for the upcoming year. It’s the time to reflect on the changes you need to make and commit yourself to seeing it through – it’s time to make a New Year’s Resolution! Self improvement, or at least the desire for it, is a goal shared by all Australians, which is why so many of us make a New Year’s Resolution in the first place. Unfortunately only a fraction of us keep to our resolutions, with experts estimating only about 8% commit to the very end. The secret to achieving your resolution is actually the resolution itself. Have you ever wondered what everyone else was committing to for the New Year? Have a look at our top 10 and see if yours made the cut. To help you get the ball rolling, we’ve included some easy ways to help get you started. 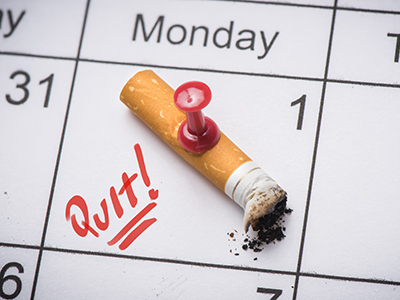 If this is the year you kick out your smoking habit, there are plenty of over the counter nicotine replacement therapies. Even if you’ve tried to quit before and failed, there’s no harm in trying again. You could also try an electronic cigarette to help your nicotine cravings. Helping others in need is a great and selfless New Year’s Resolution. Whether you’d like to head overseas to volunteer, help disadvantaged kids in your local area or something else, there are a lot of organisations out there that can make it happen, according to your schedule. If you don’t have a lot of time, you can still donate to a charity whether it be old furniture or monetary donations. Chicken Sukka:- Winter Special Instant Home Made Recipe!